In a sense, the Bauhaus movement, in which László Moholy-Nagy was so strong a moving spirit, sought to “co-opt” our industrial/technological environment before it could co-opt us. It was a utopian vision, and some would say a failed one. But for all of that, the achievements of this almost legendary center, in education and in design and function, continue to have immense influence throughout the world. The Bauhaus, under Walter Gropius, gathered together in one place Klee, Kandinsky, Feininger, Albers, Breuer, Bayer, Schlemmer, and Moholy-Nagy. 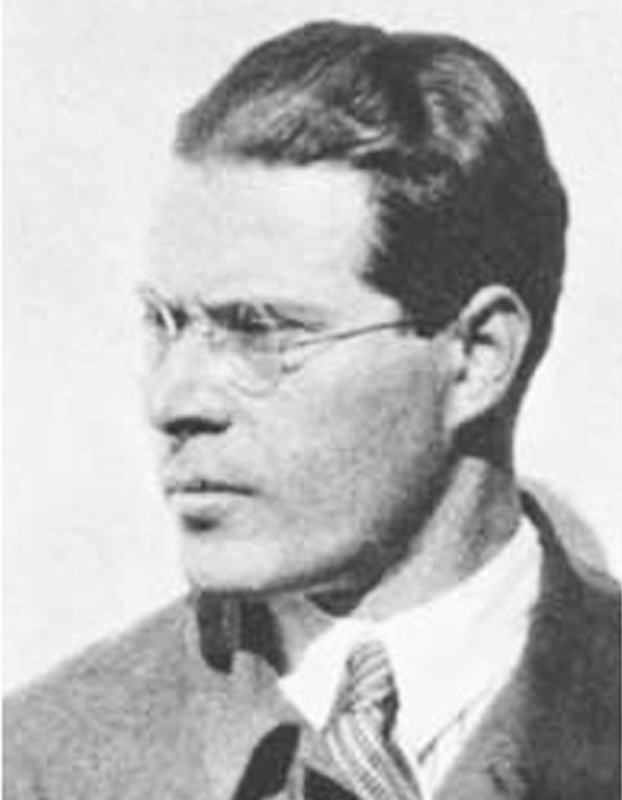 László Moholy-Nagy was born in Borsod, Austria-Hungary in 1895. He started painting while recuperating from wounds suffered in World War I. He earned a degree in law, joined a poetry circle, and became a full-time artist in 1918. Gropius invited him to join the Bauhaus staff in 1923. He would remain until 1928, heading the metal workshop, developing techniques of painting with light, and editing Bauhaus publications. Moholy then went to Berlin, where he designed stage sets for the state opera and did experimental film work until the ominous political climate forced him to leave. After two years in London, where he began his series of colored constructs in translucent materials, which he called Space Modulators, he came to the United States in 1937. He brought the Bauhaus with him. Moholy founded a school, The New Bauhaus, in Chicago. It failed, but he then opened the Institute of Design, which became recognized as one of the finest in the world in design, architecture, photography, and sculpture. The death of Moholy-Nagy, only seven years after he began the Institute, was a severe loss. He died at 51, of leukemia. But the same year that Moholy’s Institute started, Gropius was appointed chairman of the Harvard School of Architecture. The following year, Mies van der Rohe (who had succeeded Gropius as head of the Dessau Bauhaus) moved to Chicago to establish the department of Architecture at the Illinois Institute of Technology. Josef Albers joined the staff of Black Mountain College in North Carolina. And so Moholy and the Bauhaus would continue to put out new roots and reach new flowerings. As important as anything the man and the movement achieved was this cross-pollination among artists, spanning continents and oceans.